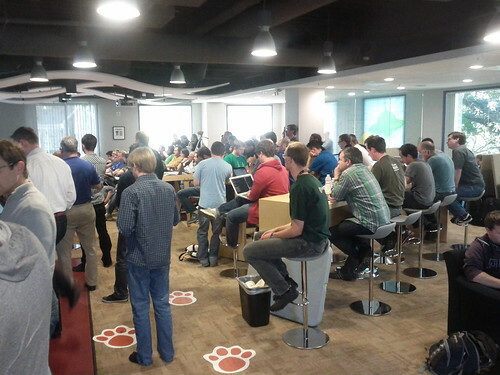 Final day of the Mozilla All-Hands week! Tons of lightning talks about interesting topics today. 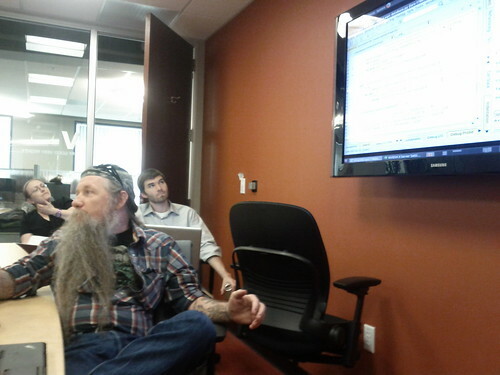 Here, Lars shows off his Python development environment. After I get some sleep this weekend, I'll have plenty of software and tips and tricks to try out that I collected over the week. Exciting! Day 96 - Get to Work! After spending some time celebrating and getting to know each other better, it's time to make the Mozilla Work Week deserve its name, and look ahead! A meeting to attract as many people as you see in the picture can only mean one thing: Firefox. The new development process is well underway, with a huge impact not only on Firefox itself, but on all supporting properties, like Mozilla's various websites and webtools. All of this will lead to getting new features (and of course, bug fixes) into the users' hands faster than ever before, and I am excited to help make this happen! Today, a bunch of Mozillians made a trip to Great America. The rides were sooo much fun! 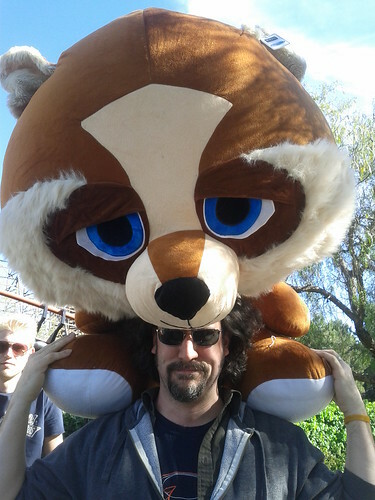 And then, at some ring-throwing game, Dustin scored and got a giant fox. In the picture: Les, pretending to be the CEO of Firefox Mozilla. Today we released Firefox 4 for Mobile, available on the Android and Maemo platforms.  It combines all the awesomeness of Firefox 4 into one small package. 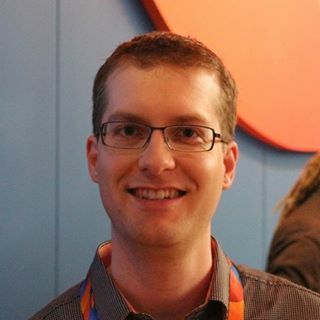 If you have an Android (or Maemo) phone, hop on over to firefox.com and give it a try! 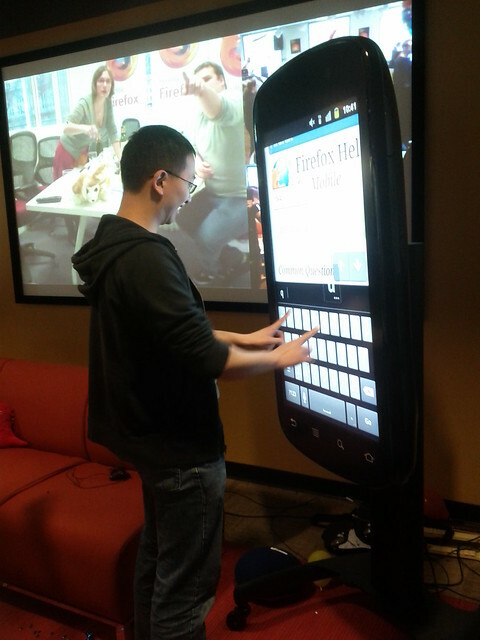 In the picture: Cheng, of Mozilla Support fame, using Firefox on a gigantic (borrowed) Nexus S phone. Yes, the touch screen really works, and yes, it is really running an instance of the Android operating system with a real version of Firefox for Mobile. It's awesome! In the background: The team of Mozilla France, enjoying the launch festivities while being connected to various Mozillans across the globe via video conference. 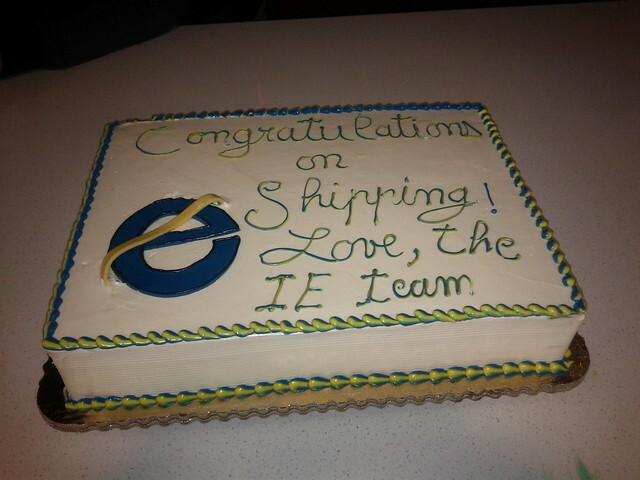 The Return of "From Redmond with Love"
It has been a tradition ever since Firefox 2: Whenever we ship a major Firefox release, the Microsoft Internet Explorer team sends us a congratulatory cake. Day 81 - Firefox 4 Stickers! 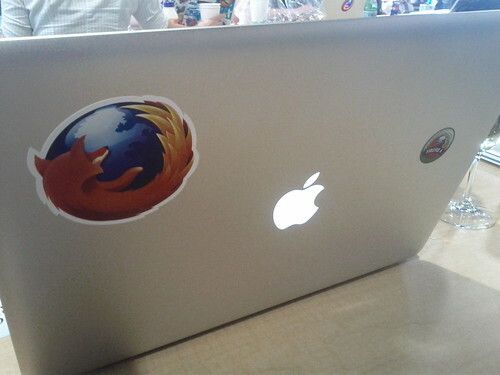 Today's mad Firefox 4 launch is an excellent opportunity for me to decorate my laptop with stickers for the first time ever. 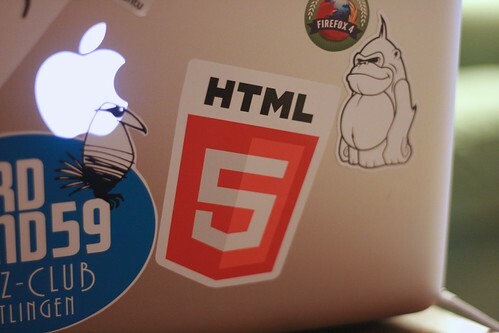 If you have any other stickers I should put on it, let me know :) You can also send them to me, of course (Fred Wenzel, c/o Mozilla, 650 Castro St #300, Mountain View, CA 94043, USA) if you're so inclined. Let's get that canvas decorated! Also, in case you haven't done so yet: Firefox 4 is available for download now, and it is not only faster and nicer than ever, it is also available in a whopping 82 languages. Download it today! 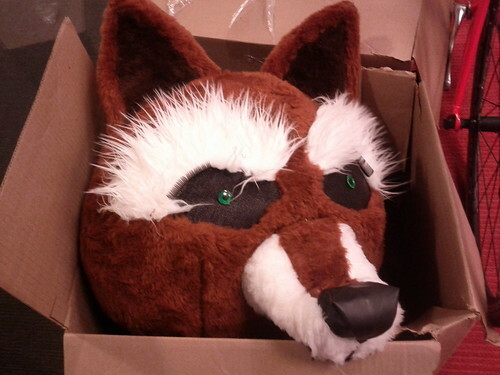 Our Firefox costume can look a little lost and headless in between parties. But I am sure it'll be back on track for the Firefox 4 festivities! 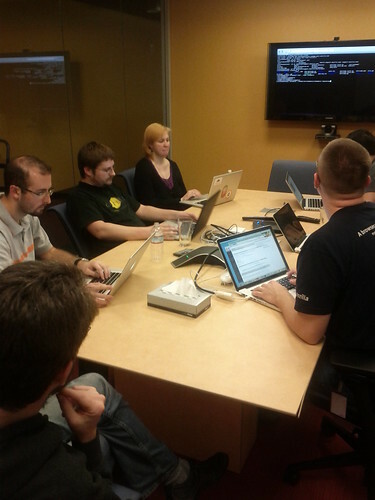 This is what it looks like when we release software at Mozilla. Except for when it doesn't. This was actually a fairly unusual day, when (most) developers, IT, product, and QA all found themselves in a conference room in Mountain View. Usually, this is much more virtual, with the "room" being an IRC channel or perhaps a conference call, all of which spanning multiple time zones. 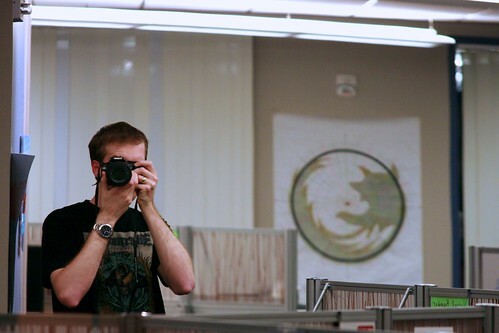 Today I took a self portrait at the office. Just so my dear readers know what I look like when I do Project 365. The attentive ones among you might recognize the sketch in the background from day 35. The "mirror", by the way, is a regular window, whose sun protection coating becomes really reflective when it's light dark outside.